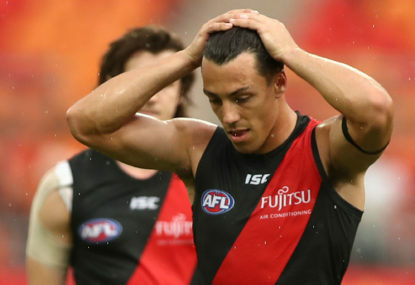 Essendon are closing in on a back-up for No.1 ruckman Tom Bellchambers, with former Fremantle tall Zac Clarke expected to sign with the club. 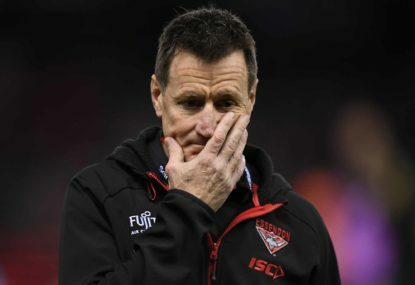 Clarke was cut the by the Dockers at the end of the 2017 season after 101 games, with a serious knee injury ruining his last season with the WA club. But the 28-year-old starred with eventual premiers Subiaco in the WAFL this season and is set to fill the void left by the surprise retirement of Matthew Leuenberger. 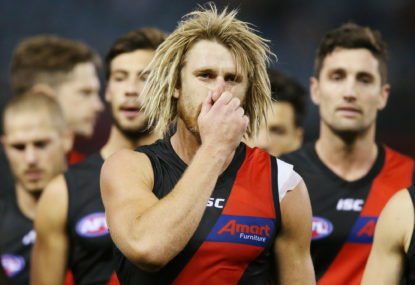 Clarke will sign on with the Bombers as a delisted free agent and will be free to join their pre-season program right away. The 203cm ruckman allayed lingering concerns about his knee injury by featuring in 20 games for Subiaco this year, including a 50-hitout performance against West Perth in the grand final win. 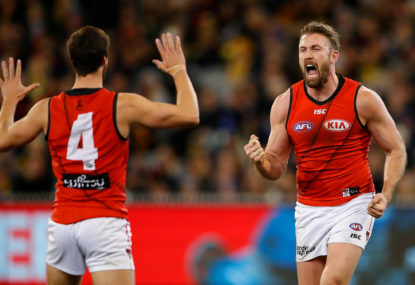 His signing fills a gap for Essendon, who had been keen to retain Leuenberger, before he decided to pursue opportunities away from football. Clarke was selected by the Dockers with the 37th overall pick at the 2008 draft and kicked 46 goals during his time at the club. It might be a bold statement after just four rounds of the season, but I’m sticking by it. 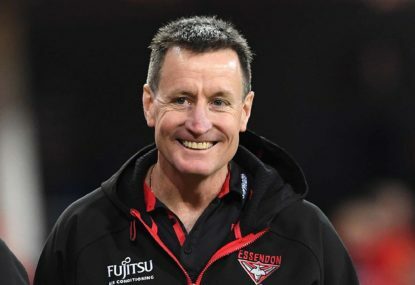 Essendon coach John Worsfold believes his players felt the release of mounting pressure before their breakthrough win over Melbourne, not after it. Oh boy. I doubt this is what the folks at AFL HQ had in mind when they scheduled this match for the third Friday night of the season, but I’ll bet they – and their partners at Channel Seven – are delighted with the outcome nonetheless.